The Xbox 360 is a video game console created by Microsoft as the successor to the Xbox. It was referred to during development as "Project Xenon," "Xbox 2," and "Xbox Next", before being released in late 2005 to start the seventh generation of video game consoles. 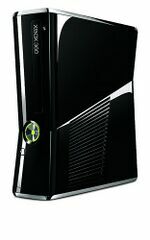 The Xbox 360 found itself competing with the PlayStation 3 and Wii for the next several years. 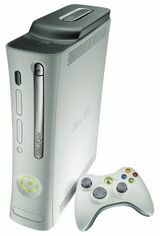 The Xbox 360 stands as a traditional upgrade over its predecessor, the Xbox, with vastly superior technical specifications, a more online-orientated focus and a multitude of new features straight out of the box from wireless controllers to (later) cloud hard drive storage for downloads. Though initially plagued by severe hardware issues, the Xbox 360 frequently led its generation in terms of sales, and a strong (and extended) line of first and third-party games eclipsed the prior successes of the original Xbox. The Xbox ran unopposed for roughly a year, when it was inevitably joined by the Wii and PlayStation 3, the former opting for radical changes in gameplay, and the latter trying to dethrone the Xbox 360 from a hardware perspective and repeat the success of the PlayStation 2. In the end, the Wii outclassed its rivals in terms of sales, but its shift in marketing strategy led to the perception that it was competing in an entirely different market (one Microsoft would try to capitalise on with its "Kinect" Xbox 360 peripheral), with the Xbox 360 instead competing directly with the PlayStation 3. Although from a technical perspective the story is meant to be very different, sales of the Xbox 360 remained roughly on-par with the PlayStation 3 throughout the generation. Like the Xbox before it, Microsoft largely failed to make an impact in Japan, but its success in other markets, particularly North America, kept it in the race. This was also fueled in part by the generation's top games coming from western publishers - Electronic Arts, Activision and Ubisoft, causing Japan to have less of an impact in the video game market. Like other third-party publishers, Sega chose to back the Xbox 360 in roughly equal measure to the PlayStation 3, with very few "big" Sega titles opting for one console over the other (the only major example of this being the Yakuza series and other Japanese-centric games). This fell in line with Sega's late sixth-generation strategy which was to focus on multi-platform releases. Many Sega Mega Drive conversions were brought to the 360's Xbox Live Arcade service fairly early on in the console's lifespan (mostly handled by Backbone Entertainment) with no PlayStation 3 counterparts, though many of these games have since been removed in favour of superior "Sega Ages Online" versions (which have also seen PlayStation 3 releases). Much suggests that Sega, among others, prioritised the 360 when dealing with the western markets during 2007 and 2008, although the playing field was leveled in the months which followed. In the second half of the generation, almost all games intended for a worldwide release were given to both platforms. Sega also released two games as part of the "Xbox Originals" programme between December 2007 and 2009, allowing for the digital download of select games from the original Xbox. Microsoft rebranded the initiative as "Games on Demand" and offered digital downloads for Xbox 360 games while discontinuing the effort of putting out more Xbox games for the service (the Xbox Originals available prior to the change still being available to purchase/download). The introduction of Microsoft's motion-controlled Kinecy system in 2010 also attracted support from Sega for two games.